Home Page | How does it work? 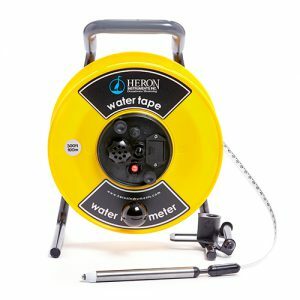 | How to measure water level in a well? When you have a well, borehole or a water tank, you need to know a couple of things about it. First of all, you need the information about the level of water in your reservoir and its depth, and secondly – the presence or absence of any additional liquids. Let’s see the ways to get this information. To measure the level of the water in a well in real time it is better to use the water level meters – solid and reliable instrument, which operates on simple but accurate principle of conductivity of water. It is portable, handy and gives accuracy up to 1 mm (or 1/100 ft). The length of the tape can be different, there are models that measure the general depth of the reservoir as well as the temperature and conductivity, or salinity. 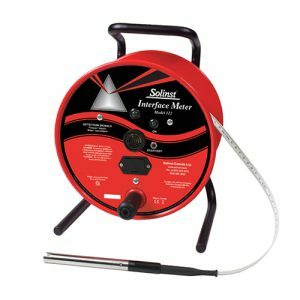 Meters that use the electric conductance have the same work manual for all models, you need to deepen the probe on the measuring tape into the well and wait until it reaches the water. The short circuit results the sound and light signal, and you have to record the data from the tape. The probe and the tape are usually made of durable and firm materials. The transducer is pressure-proof and the tape has the long-wearing plastic covering with readable scale in American and European measurement standards. Well sounders, or sonic water level meters, allow leveling the depth of the well on the non-contact basis. They are mobile, compact, save the records on their own memory. If you add to the electric-contact probe the infrared beam emitter, you will get the Oil/water interface meter. 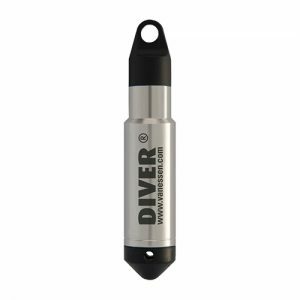 This tool gives you the information about the non-water floating or sinking liquids in your reservoir. Exteriorly it looks almost the same with water level meter, and works on cognate principles. When the probe reaches the surface of non-aqueous liquid, usually it is oil, the infrared beam deflects and the meters gives a continuous sound and light signal. Oil does not conduct electricity, so the electric sensor does not react until the probe deepens to the water. Then the short circuit turns off the beam and the signal becomes intermittent. Oil/water interface meters consist of mostly the same details, as water level meters, they have the solid reel for the tape, the well hanger and the tape guide, the probe, battery and the ground wire. They are also produced of firm sustaining materials and provided with a comfortable bag, are easy to move and do not suppose any education or experience to be operated – just follow the manual included. When there is a need not only to measure the level of water but to monitor the changes and record the data on continuous basis, but to monitor the changes of it during long period and record this data, you should use the water level logger. This equipment is provided with the measuring tape and the probe with the water-pressure sensor, which helps to calculate the level of water on continuous basis. The loggers consider the changes in atmosphere pressure either with the help of barologgers or meteo stations, or using the vent tube. After installation, you can leave your logger for as long time as the battery allows, and offload the data right to your computer or mobile gadget when you need. Some models offer wireless connection. Such devices are certified to work in hazardous and explosive environment in most countries, they are safe, easy to use and give accurate and precision results.